Fairfield Industries is a wholly owned subsidiary of one the North Easts oldest established engineering companies. John Livingston & Sons Limited, the parent company of Fairfield Industries, was founded in 1853 as a firm of brass founders and engineers who served the fast expanding rail industry. The advent and explosive growth of the iron industry in the mid nineteenth century produced a huge number of opportunities for local engineering companies, producing a new market that Livingston’s were quick to exploit. Although no pictures survive of the founder, the engraving shown is of John Livingston’s son, a prominent local engineer and a protégé of Victorian industrialist John Vaughan. 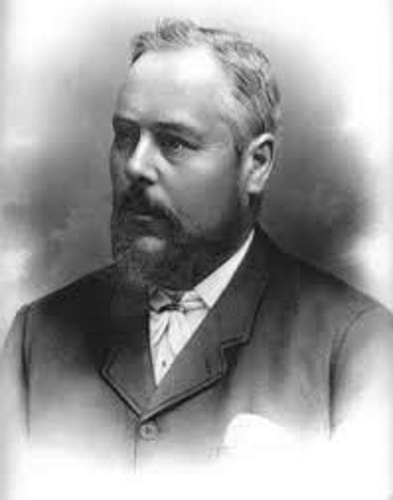 John Vaughan was the man who discovered ironstone in the Cleveland Hills and who later formed a partnership with Henry Ferdinand Bolckow, resulting in the formation of the world-famous iron and steel company, Bolckow Vaughan. This association enabled the company to achieve a rapid expansion that saw it grow from a small foundry employing only three men in 1854, to one of Teesside’s industrial powerhouses employing more than 1,300 by the turn of the century. However, due to the unfortunate result of a succession of absentee owners, by the mid-sixties the firm had dwindled to the point where it employed just seven men and had reverted to its 1878 foundry premises. It was at this time that the Ord family acquired the share capital from the various surviving members of the Livingston family, and once in their ownership they quickly set about rebuilding the firm as an engineering and property-based company. Through its’ estates company, John Livingston & Sons now has a portfolio of industrial property, including two complete industrial estates, one approximately 18 acres and the other of some 5 acres, together housing over 50 separate companies. In addition to the aforementioned they have a number of other industrial units/engineering facilities located throughout the north of England.